MPI can be supplied to our clients at any location. All MPI is done to Compliance Inspection Services, magnetic particle procedure. All MPI surveyors have successfully completed 40 hours of classroom time on MPI procedures by ASNT. Procedures and certificates are available upon request. Dye Penetrant Inspection can be supplied to our clients at any location. All dye penetrant inspection is done to Compliance Inspection Services dye penetrant procedure. All DPI inspectors have successfully completed 40 hours of classroom time on DPI procedures by ASNT. Procedure and certificates are available upon request. CISI offers Ultra sonic thickness reading on ships, tanks, pipelines, containers and much more. Compliance Inspection Services performed U/T thickness readings to determine if repairs are necessary. When original thickness of metal can be determined, a Convenient loss percentage can be generated. 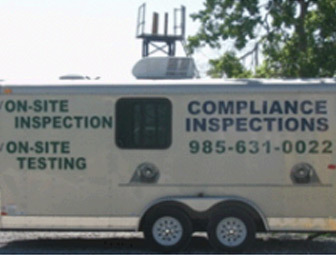 Compliance Inspection Services offers onsite QA Work Stations to our customers for their inspection needs. 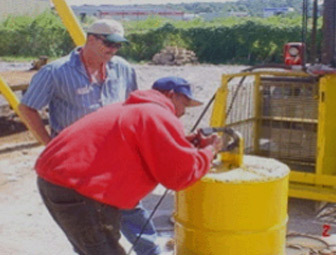 CISI Work Stations are fully equipped to handle the clerical side of inspections as well as a web based site for logging and tracking of the Customers equipment. By performing these quality control functions, Compliance Inspection Services, assures our clients that Cost, Quality and availability is the end product.